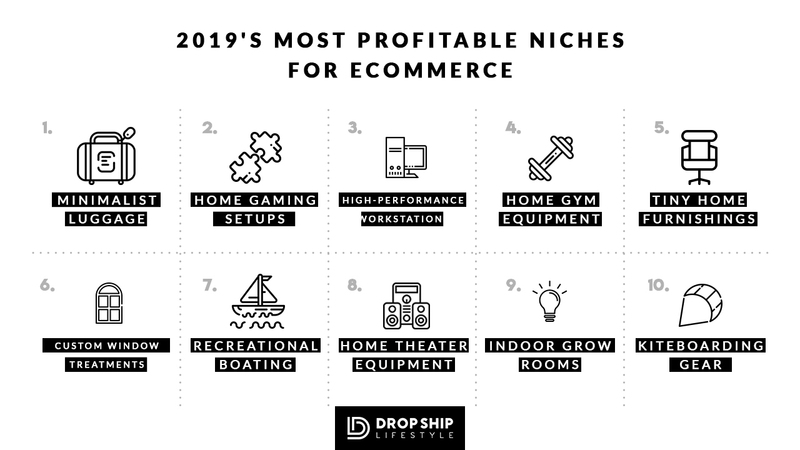 Note: this post has been updated January 2019 to reflect the newest information about dropshipping and profitable niches. Every year we update our guide to selecting profitable niches. If you're familiar with digital and eCommerce trends, you know how fast things change. This is still good news for you though! That's because it's only getting easier to research the profitability of a niche product before you start building your dropshipping store. This will give you a clear picture of market trends, releases, and ways to be profitable within a broad, over-saturated niche, hint: sub-niches. This guide will cover the first and arguably, one of the most important steps in building your own profitable eCommerce business: selecting profitable niches. One of the first steps in eCommerce is choosing a niche… it’s also the biggest point where we see people get hung up. While you shouldn’t make niche selection harder than it is, it’s more important to not rush the process. 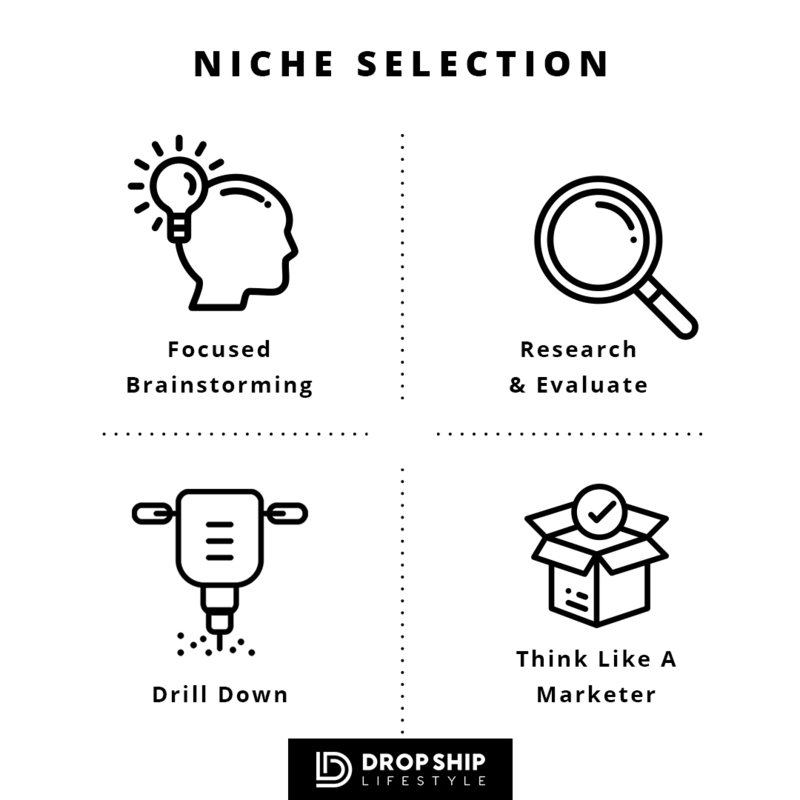 Selecting a niche can make or break your dropshipping business making it one part of the dropshipping process you don’t want to rush. Products that ​have a lot of styles. Products that ​have a lot of variation. Products that customers can wait for due to its uniqueness. Products that are too personalized (ie apparel). ​Products that have emotional attachment. 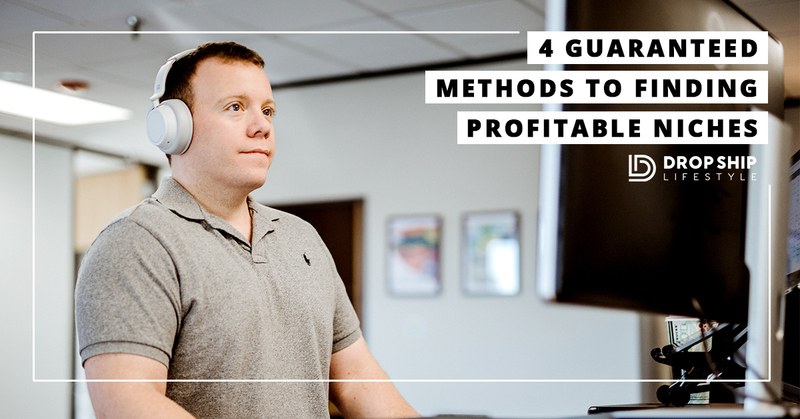 When searching for a profitable niche that's good for the dropshipping model in 2019 you'll want to use these four methods that I have learned from more than a decade in eCommerce. To give you a little background, my very first eCommerce store started making money within 24 hours of going live. I made a sale for $485 the FIRST night that my store was able to accept orders. I’m not telling you this to show off. I’m telling you because I want you to know the secret to my dropshipping method. The same secret I used to make over $3,000 of sales in just over three weeks. People are often shocked when they hear this because it sounds like I just threw together an online shop and starting making money through luck. But the truth is I spent A LOT of time prior to launching. In fact, it’s all about the preparation. Before my store launched, I did a ton of market research in order to have the best chance of success once I was ready to launch. There was one reason that I made $485 within hours of launching. It was because I found a profitable niche that fit a certain criteria. It's not hard but there are a few methods that you need to know in order to successfully select a profitable dropshipping product. Keep reading to learn all the details, plus step-by-steps of my favorite methods to research the current profitability of any eCommerce niche. Before you can test different niches for profitability you need to think of niches to test. This doesn’t mean you think about it on the ride to a friends house, you need to block off time and focus on brainstorming. TIP: When first brainstorming profitable niches, make a list of at least 50 good niches that fit the criteria above. To brainstorm new ideas, I often think of things that I’ve recently bought online. As well as asking family and friends what they’ve recently purchased. Also, think about what you’ve bought in the past. Here are some more action tasks that will help ​you brainstorm a long list of profitable niches. What are the last five items you bought online? What do people like to do on vacation? What are the hobbies of your family and friends? What's the most expensive item in the room you're in right now? ​Think about all your family and friends and what they have in their houses. Write everything down, even if it seems questionable at the time. I then take this list and begin running them through my “tests". Tons of niches are profitable, but that doesn’t mean you should rush into them. Competition - Scout out other dropshipping stores and see what products are over-saturated. You don’t want to sell those. Loyalty - Don’t go for a niche or product that is dominated by a national brand(s). Pricing - It’s easy: the higher the price of the products, the greater your profit margin will be! Weight - Shipping is expensive but a winning combo is a high-priced product that has low shipping weights. Returns - Don’t pick a product with sizing and style preferences, they will have an astronomical return rate. eBay is still a good place to check if items sell online but don’t base your prices off of eBay's. They’re far too low. Even though it’s not as relevant these days, it’s still a good place to brainstorm profitable niches. 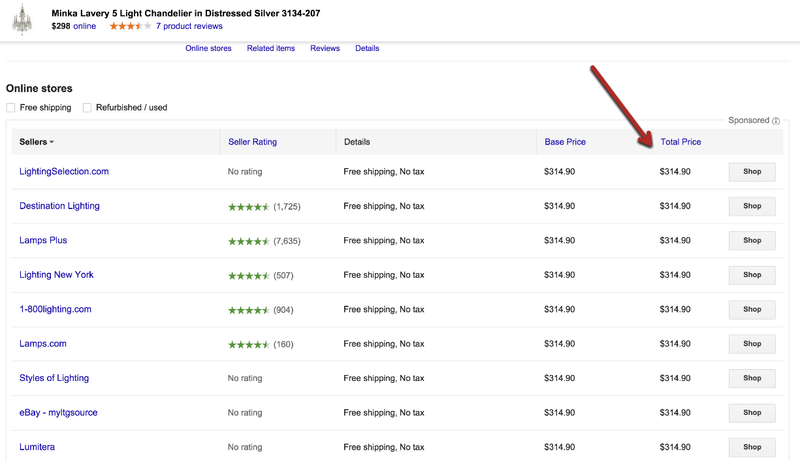 Once you’re on eBay, you want to identify products in different niches that are expensive (to me, that’s $500 or more, but it’s up to you). Then go through different categories on eBay and change your search results to show “completed listings”. If the completed listing is in red it means the item did not sell. If it’s in green it means the item sold. Look closer into the products that are shown in green and search for completed listing only for that specific product. I used to do this over and over until I identified about 20 products within one niche that almost ALWAYS sold (10+ units per day). TIP: Tons of niches are profitable, but that doesn’t mean you should rush into them. When I started I wasn't dropshipping. I was importing from China, so I contacted a few suppliers that I had found on Alibiba.com and requested price lists for these exact products. I then contacted a customs broker and got shipping quotes for a container of the products. Amazon is the world’s biggest retailer and they sell pretty much everything under the sun. That’s what makes it one of the best places to find profitable niches and the products that are "red hot". Click on the 'All' tab at the left of the main search bar it will show a list of categories or 'niches'. Click on a specific category, that interests you (or at random). Then leave the search box blank and hit 'Go'. A new page will display and on the left-hand side a whole list of subcategories or 'sub-niches' will pop up. Click a subcategory and it'll take you further down into the niche into a more specific sub-niche. You now have drilled down into specific niches and can even go further still. Amazon is especially great to help you find a super specific niche and the products that sell best. Even better is you can choose 'best sellers' from the navigation bar at the top of the page just under the search box and see what's currently selling best. There’s no way you can’t find a profitable niche on Amazon, or at least have a good brainstorming session browsing the site. Amazon’s “Best Sellers” page is updated hourly making it a solid resource for profitable niche selection! Now, I know that I’m not selling on eBay anymore and I don’t think you should either. But, a lot of this advice is still useful in the world of dropshipping today. The first (and most important) tip I will share on finding a profitable niche when dropshipping is SELL EXPENSIVE ITEMS!! Based on my experience, the average net profit when dropshipping is about 20% of your total sales. Basically, you’ll make 20% profit on a $1,000 item and a $10 item so you could either make $200 or $2 per sale. If you want to make money, you need to sell expensive items. There’s nothing else to it. Not that complicated, right? Once you’ve identified these items you need to find some potential “future competition”. Online retailers who are already selling these items. Unfortunately, there’s no way to find out how much money they make on each sale at this point. BUT you can find out if this niche is profitable by seeing if the suppliers enforce MAP policies. Moving into 2019, we're heavily focusing on brandable dropshipping stores. That means we need niches that give us multiple opportunities for monetization. ​While it's still very possible to make a lot of money with niches that only provide the opportunity for one-off sales, I do believe that as we move into the future, the more opportunities for monetization, the better. Any questions? We’d love to hear from you. Leave a comment and we'll keep the conversation going! but thank you for all the great information. Very helpful… But my I am still confused about finding good products for dropshipping. You should check out my next webinar! It’s a 2.5-hour training so I have time to dive deep into how to find products. Next you say Electronics are bad niche due to technical support etc, and then, you said one of the best niche for 2019 are workstation, home theaters and gaming setup? I understand the confusion, so allow me to clarify. 1) When I say sizing and style I’m referring to apparel. I will update the post to draw attention to that. 2) Like I discuss in the video in the top 10 niches post, I recommend selling the non-electric parts of those items (ie; desks, gaming chairs, arm mounts, home theater seating, popcorn machines, noise insulation pads, etc), and then promoting the electronic components as an affiliate. Was helpful to me in my early days. My all works were fail because I can’t connect any payment provider. I live in Azerbaijan. Paypal,Stripe etc. doesn’t work in my country.I have only chance that is 2checkout. Then it doesn’t accept my account. I have many e-comm ideas but , but i can’t. Can you not use Stripe Atlas? Google it and let me know! When I click on the “Download: 187 Profitable eCommerce Niche Ideas” it redirects me to https://www.dropshiplifestyle.com/ the home page and I do not get a download. The “Download: 187 Profitable eCommerce Niche Ideas” never send an email. I waited for days to receive the email but didn’t get any email, even in spam folder. Does it really has any niche list download? You should check out the next webinar I’m hosting. It’s the perfect starting point! Hello Anton , thanks for sharing these ideas , I would love to know is it best if i dropship from Aliexpress ? And you said something about dropshipping from China , is Aliexpress a part of that ? Can I have more than one country as my target market ? 3) You can sell to as many countries as you’d like to. However, if you are selling large and heavy items shipping costs will likely restrict you to sticking to one country. Regarding the top 10 niches, do you recommend us trying to build a website in one of these niches now that you have offered these niches to us? Would they not start to become oversaturated? Do you recommend shopify for dropshiping? Yes, 100%. They are the easiest platform to use, they have the best apps, and they offer world class support. Even though a niche is highly competitive doesn’t mean you shouldn’t compete. There are ways you can build your business to win and Anton goes over those in the conversion rate optimization posts on this website as well as the drop ship blueprint in the drop ship lifestyle coaching program. The best way to compete, of course, is to start a niche site that is an expert, in other words, you will will be better able to help your audience decide on which specific item they need and compare different brands. This is much like niche review sites you see on line with articles like “Best Headphones” because they basically compare 5-10 different brand’s products and you make a decision, but instead of just getting a small commission of 4% after 60 days IF someone orders from Amazon through your link, you keep 20-30% directly from the customer after their purchase is made plus you get to keep their information for remarketing later on. Overall, I highly recommend this model of building a real sustainable long-term online business over low-dollar aliexpress shopify drop shipping. Thanks for an informative article Anton! You’re welcome, Tim. Happy to share! I’m totally brand new to this, and don’t yet have a niche or a store – but I’m working on it! 1. If you don’t have any products and you’re contacting suppliers for the first time in order to get products, how do you populate your website, so that you look established, so that the new supplier will consider you? 2. Once you do have a product to sell, how do you go about getting quality imagery for your website? Would the supplier provide imagery? Finally, how do you have a returns and shipping policy in place, if you don’t yet know what your suppliers terms are? Thanks in advance. I’m enjoying the DSL ride! Happy to hear you’re making progress! 1. I recommend uploading just a handful of demo products. These are not “real” products from “real suppliers”.. but instead, you can just do a royalty free Google Image Search for your niche and choose some randoms ones that look good. Then you make up names, prices and just write one line descriptions. It’s important to note you’re not doing this to trick anyone, you just want the suppliers to see what actual product pages look like on your store so that they can envision their product line on there as well. It’s also important to note that your payment processor (most like Shopify Payments) should not be enabled at this point so no one can actually order from you. Hope that helps. And welcome to Drop Ship Lifestyle! Thank you so much Anton for the great article. I’m taking your course now and I’m at the niche selection stage. The information you gave here amazingly integrate with what I learned at the course. I’m sure I’m on my right way to choose a profitable niche with your help and advice. That’s awesome, Emad! Wishing you nothing but success! An important advice you share to us is “sell an expensive product”. I read that this also increase the probability to see your product blocked by the customs either in China or in the product you are selling to. Do you have any experience about that and how to avoid it? Thanks a lot for your great content btw. We actually do not drop ship from China (nor do we recommend doing so) so we don’t have to worry about that. Hi I am looking for someone asap to do some niche research for a dropship site that I hope to establish but not in the USA can you provide this service and how much. Thanks so much Anton for this article. I also really appreciate your guide to drop shipping outside of the U.S. Very helpful! Hi Anton, I am just starting and therefore can’t afford your course just yet, but I do appreciate the 10 mini courses you sent me. Was very informative and helpful. Thanks again for the step by step information you shared. Hope to make enough to purchase your course soon. Thanks for the comment, Carl. And you’re welcome for the free drop shipping mini-course. If you have any questions about any additional resources please email us at [email protected] and we will get you taken care of ASAP. There was no list of profitable niches of doing less and earn more but from the post I got the scope. Not bad at all. In the name of genuine fashion dropshippers, there are many out there. But, there is always that one dropshipping company that stands out from the rest. We’ve essentially re-invented the way dropshipping should be done. 🙂 And when it comes to profitability, our dropship program is MEANT to make you, the dropshipee, more money than the company itself. The problem with selling apparel online is EXTREMELY high returns rats. For this reason, we do not advise drop shipping these products. What if I can’t decide what package to sign up for? Who can I contact to see what’s right for me? [email protected] – they will be able to help answer any questions you have! how is the dropshipbusiness in Europe in germanspeaking countries working, compared to USA ? Should I start here or go to englishspeaking countries ? Thanks Anton, im reading everything i can get on your course. Thanks for letting me know, Marshall! I post lots of great content there as well. Good article, But I thought we will get a list. Sorry about that, Kris! We’ve actually gone ahead and upgraded the list to 237 Niches.